Louisa Moller will soon join Boston CBS affiliate WBZ-TV as a general news reporter. Moller has been a reporter for Hartford, Connecticut CBS affiliate WTIC-TV since August 2012, following stints with WFFF-TV, the FOX affiliate in Burlington, Vermont, and WTHI-TV, the CBS affiliate in Terre Haute, Indiana. 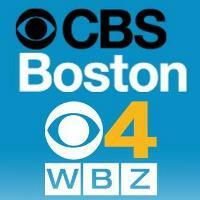 For Beantown’s top stories, sports, weather and more, follow WBZ-TV on Twitter and ‘Like’ on Facebook.